Spink & Son auctioned today the 1577 Grant of Arms to John Connocke of Lescarde (Liskeard). John Connock was a tanner, who owned the manor of Hagland as well as a town house at Moncton’s Corner, Liskeard. He was mayor of Liskeard on four occasions. Arms: “Silver a Fesse Danse bettwen three Egletts displaied Gules” . Crest: “Uppon the heaulme oute off a crowne a deme Griffon Golde”. Paul Parish church contains a monument to the memory of the Rev’d Henry Penneck, second son of Charles Penneck of Tregembo, and of his wife Juliana Clutterbuck. Arms: Argent on a chevron Gules between three wrens’ heads erased proper as many escallops Or. Azure a lion rampant contourné Or in chief three escallops of the second (for Clutterbuck). Crest: A dexter arm embowed sleeved Gules cuffed Or the hand holding a wren proper. 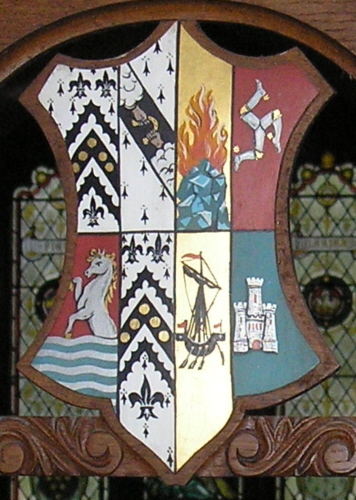 The Penneck Arms were granted 2 August 1712 to Rev’d John Penneck (son of John of Tregimba), the Rector of St. Ewe, Corwall and to his brothers William of Exeter, Francis of helstone and Charles of Tregimba. 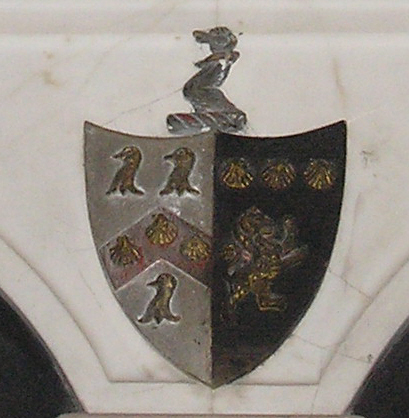 The Clutterbuck Arms above differs from those listed in Burke’s General Armory by having the lion facing to sinister. 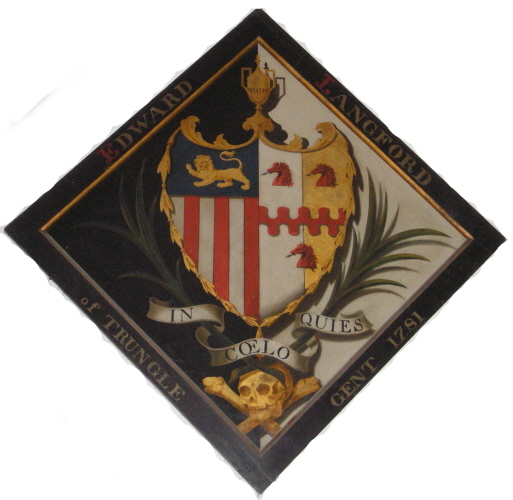 In the Parish Church of Paul in Cornwall there is the Hatchment of Edward Langford. He married Elizabeth, daughter of Frederick Dansey Esq. of Plymouth Dock, Devon. Paly of six Argent and Gules on a chief Azure a lion passant guardant Or (Langford).